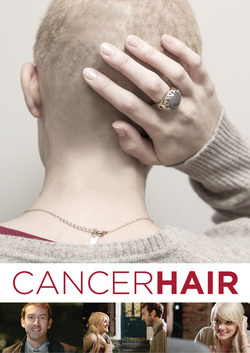 Cancer Hair is a short film about Claire, young woman in remission from cancer who is extremely self conscious about her hair loss. Her good friend Sandra persuades her to go on her first post “all clear” date with a likely lad Andrew, who is seemingly after a one night stand. After a disastrous start to the date, the two find unexpected common ground in her illness and recovery. This new found affinity prompts her to remove her wig, revealing her true vulnerabilities, if only to him. Starring Laura Aikman and David McCusker, Cancer Hair is a romantic comedy about the moments, and people, that inadvertently change our lives. Cancer Hair premiered at Cambridge Film Festival in Sept 2014, won "Best Fiction" and "Best of Fest" at the Isle of Man Film Festival in Oct 2014 and won IMDb New Filmmaker of the Year in Nov 2014. When eleven year old Tomboy Jane inadvertently flirts with another girl at the local Ice Rink she is amazed and surprised when the girl flirts back. Assuming the girl thinks she is a boy, Jane goes to extraordinary levels to prove her boyhood only to find the girl liked her for her. Rink is a sweet short about growing up and feeling different. Rink has been part funded by Film London and Eastern Edge Film Fund. Premiering at Bath Film Festival in late 2016, Rink has screened at over 12 festivals and was nominated for the prestigious Iris Prize.